Krista interviews TV celebrities on the phone for us. She lives in Alabama with her husband. They have no children but they do have a 4-legged furbaby named Luke. 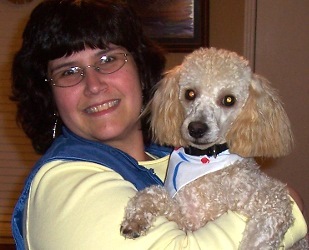 Krista is active in animal rescue and loves all animals, dogs being her favorite. She is a Christian and loves Jesus very much. She is Baptist by denomination. She also loves music and singing, movies, and of course, TV! She also enjoys a good book and spends a lot of time with friends on the internet.